Goodreads says, "Drue Campbell’s life is adrift. Out of a job and down on her luck, life doesn’t seem to be getting any better when her estranged father, Brice Campbell, a flamboyant personal injury attorney, shows up at her mother’s funeral after a twenty-year absence. Worse, he’s remarried – to Drue’s eighth grade frenemy, Wendy, now his office manager. And they’re offering her a job. It seems like the job from hell, but the offer is sweetened by the news of her inheritance – her grandparents’ beach bungalow in the sleepy town of Sunset Beach, a charming but storm-damaged eyesore now surrounded by waterfront McMansions. With no other prospects, Drue begrudgingly joins the firm, spending her days screening out the grifters whose phone calls flood the law office. Working with Wendy is no picnic either. But when a suspicious death at an exclusive beach resort nearby exposes possible corruption at her father’s firm, she goes from unwilling cubicle rat to unwitting investigator, and is drawn into a case that may – or may not – involve her father. With an office romance building, a decades-old missing persons case re-opened, and a cottage in rehab, one thing is for sure at Sunset Beach: there’s a storm on the horizon. 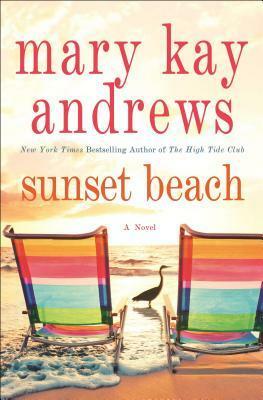 Sunset Beach is a compelling ride, full of Mary Kay Andrews' signature wit, heart, and charm." Mary Kay Andrews writes such fun beach reads. 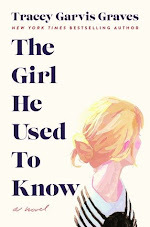 Would you look at the cover of her latest? *Sigh* It sounds like the perfect book to bring on vacation this summer. What do you guys think? Are you a Mary Kay Andrews fan? If so, which one of her books is your favorite? I still need to read her last release based on your blog recommendation, but this one sounds fun as well! They are perfect for vacation - light and fun! My favorite is The Weekenders. I also liked The High Tide Club. Thanks for dropping by, Michele. That cover makes me wish I was on vacation! I know, right? 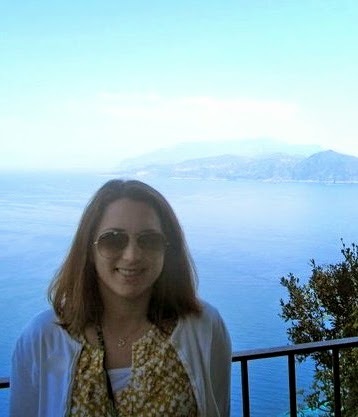 I could use some sunshine. Thanks for visiting, Angela. I really like her books. I only read summer rental and save the date. Both really good books. Aren't they fun? I always like to read them in the summertime when I am looking for something light. Thanks for visiting, Viki!